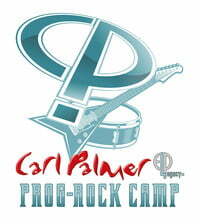 World famous drummer/musician Carl Palmer will be hosting a musical learning experience for drummers, guitarists, bassists, keyboardists and vocalists called Carl Palmer’s Prog-Rock Camp. Featuring Carl Palmer’s ELP Legacy and very special guests guitarist Ron “Bumblefoot” Thal (ex-Guns N Roses; Sons Of Apollo) and Derek Sherinian (ex-Dream Theater, Alice Cooper, Sons Of Apollo), the camp will run for 3 days in Philadelphia and allow the attendees to learn first hand from some of rock’s greatest musical icons. The Camp will begin on Friday, November 8th and will include three days of events, and the cost is $1,399 and includes all events, classes, concert, meals, parking, and hotel lodging. A deposit is required at registration, which will cap at 100 campers. You can go here to register.